1 Hans-Peter Feldmann | This Blog Rules | Why go elsewhere? What do you see in these marvelous photos? 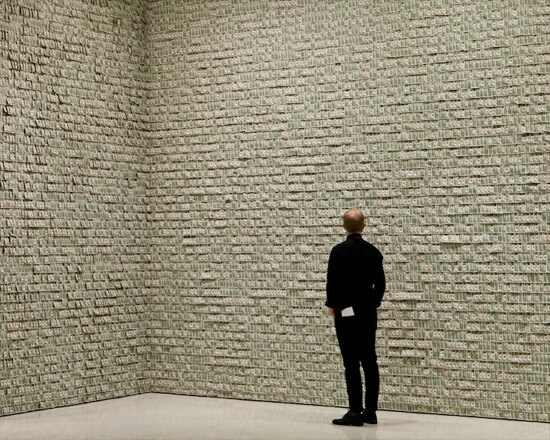 You see a room in the Guggenheim Museum that is filled to the brim with 100,000 $1 bills. The money is actually a honorarium that artist Hans-Peter_Feldmann won for for significant achievement in contemporary art. This is known as the Biennal Hugo Boss Prize. He thought it would be a unique gesture for the museum to actually see how much money that is.